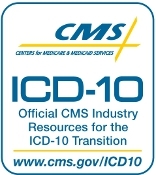 A recent survey found that 96 percent of medical practices are concerned about the potential impact of the transition to ICD-10, now scheduled for October 1, 2014. At the same time, the Centers for Medicaid and Medicare Services (CMS), as well as the College of Healthcare Information Management Executives (CHIME), the Healthcare Information and Management Systems Society (HIMSS), and the American Health Information Management Association (AHIMA), support the commitment to a compliance date for the switch to the new coding system, which will allow for much more specific diagnoses and procedures and can actually increase reimbursements when used correctly. 73 percent of the respondents in the Nuesoft Technologies survey, “Attitudes Toward the Transition to ICD-10 and ANSI-5010,” indicated that they anticipate a significant negative impact on their operations and/or finances from the transition process, as well as their “personal and staff state of mind.” The complexity and more detailed specificity of the new coding system has been cited in considering the upcoming transition to be one of the most significant changes ever faced by the healthcare industry. However, some providers are proactively preparing for the changes by learning about the new codes now, ahead of the game, and CHIME, HIMSS, and AHIMA all support CMS’ finalization of the compliance date so that healthcare organizations can begin allocating resources to prepare for and meet the new deadline. It has been noted that current medical practices will be better reflected with the new codes, and case management and care coordination will be improved. Medical billing software like Lytec and Medisoft, as well as Electronic Medical Records systems like Allscripts MyWay, will need to be updated in order to utilize the new diagnosis and procedure codes once the deadline arrives. Microwize Technology can help you stay on top of current trends and requirements in healthcare IT and legislation.